There are many ways to work with a crystal to benefit from its healing properties. Simply get to know your stone at first, and find your way by trying the methods that ‘make sense’ and appeal to you. – in your pocket or purse, to have the energy with you, and to hold the stone occasionally. – either under your pillow or at the bedside, to receive its resonance when you are asleep and receptive. – either in a cage, as jewellery (or for ladies, tucked into the bra) to benefit from direct skin contact with the crystal. – Chakras, according to traditional Indian’s methods of healing, are centres of energy within every body. They are like power points for the different aspects of our physical, mental and emotional wellbeing. We have shown the corresponding chakra for each crystal on our website, which is the one that has the associated colour and or healing property. When placed over the chakra point, the crystal will resonate to rebalance and support you on the aspects associated. For example, for inner wisdom, visual disturbance or ear afflictions choose a Third Eye chakra stone and lie with it placed in between your eyebrows. The action of the crystal will be sensed as a warmth or tingle, also it may induce mental impressions such as colour or visualisation. It can also release suppressed emotions, allowing sighs and tears to flow. Refer to our Chakra Chart for more information. – in a water filter jug, or in bottled spring water, left to stand for an hour, making energised water. 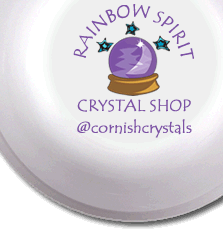 – This is an extension to single stone chakra placement, using a variety of crystals in tumble, points and wands, arranged over and around a person in a specific pattern to suit their state of wellbeing. For example, clear quartz points may be place around a chakra stone to amplify its action. For more information, there are many books available that explain this further, and provide suggested layouts. – holding the crystal in cupped hands, or lying down with it placed on your brow, or held to the area of your body that feels ‘right’. This method can bring an inner peace and understanding of how the crystal is working with you, as you may sense it in one particular chakra area. For more information about meditating, see my guide below. I have written several meditations for working with crystals that I have shared below. Here I'm hoping to share my way for stage 1 and 3. It's a way of looking after yourself and getting in the right 'space' for each time you do a meditation. Get comfortable and settle yourself into a position where you can relax and not be distracted by any physical discomfort or irritation. Take 3 gentle, slow breaths, visualising that you are breathing in calm blue and exhaling darkness – releasing stress, anxiety and worldly cares. For the next 7 breaths, draw energy from the Earth below you. Visualise the energy rising up your central column, going higher with each breath. When the meditation or visualisation is complete, slowly become aware of your breathing again. Close your circle by thanking and bidding farewell to the light, imagining it spiral back around you and recoil back into its source. Draw the energy and your consciousness back into your physical body. Then, starting at your crown and working back down, close down your chakras by imagining each one in turn as an aperture like an old camera lens, with overlapping plates that spiral inward together. Here are some crystals meditations that I (Beth) have written for meditating with crystals. If you're new to meditation, see my Guide to Meditation above. When you're ready, free yourself of the daily, physical world and prepare yourself in your usual way for meditation. Visualise a gigantic rod of Selenite gently entering your space. See it's clean, white lines and linear structure as it moves closer. They are like fibre optic cables, fine rods that transmit light from one end to the other. The Selenite moves slowly and freely closer to you, and you allow it to hover over you. It attracts a beam of universal light which it then transmits down to you, so you are enveloped in a column of gentle white light. Feel it tingle and release any tension and blockages as it gradually passes from the top of your head down through to your feet. Visualise stretching your hands out to play with the light, running your fingers around to find that the beam of light is made up of many rods of light. Close your hands around one of the rods and become one with the Selenite. Feel yourself in perfect balance in space and time, with equal forces holding you above and below. Ask the Selenite to show you that which you are free to move away from, and allow it to move into the distance of your vision. Then turn to the future, and see the bright light of positivity that shines on the way ahead. Ask for guidance and confirmation to take with you. 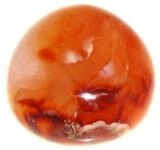 Place a Carnelian crystal to the South of where you're sitting. Alternatively, you could hold the crystal – try it and see what works for you. You may also wish to light a candle that can burn safely while you meditate, and have that in the South too. I associate the colour red with Fire and the South – but go with what makes sense to you. Sit facing South (preferably on a cushion or chair if you need back support, to avoid physical distraction from your meditation). Settle yourself into a comfortable position and read through the meditation to familiarise yourself with it. Sitting comfortably, facing South. Close your eyes and shift into a meditative state in your preferred way. Imagine that there is a semi-circle on the floor that spans around you from West to East, your right side round behind you to your left. Visualise it as a dark line on the floor. Gradually visualise that arc rising over you, shrouding you in darkness, rising as a dome that covers you in a protective shell. It passes behind you, over you and slowly down in front of you until it gently touches the floor in front of you and you are completely contained within a darken dome. Settle yourself into this safe stillness. Accept the silence and solitude. Focus again on your breathing, with each breath inhale tranquillity and exhale tension. Slowly you sense heat building around you and light rising in front of you. The Sun is starting his ascent for a new day in your life. The light starts to fill you with warmth and anticipation. Beneath you, the Earth responds to the sun’s presence and conducts heat to your body. You sense heat building from the Earth below you – it is a sensual heat that caresses you and awakens you. The heat rises, and suddenly a spark ignites within in you – lighting your inner fire. Visualise it as a glowing coal that sits below your belly that compels you to stare into it. Your inner fire holds the power of your will; your creative ability and sexual expression. It sparks your anger, your fear and your ability to take action. Enjoy the heat without fear of being burnt. Stay a while, gazing at your inner fire and how it burns. How bright is it? What fuels it? Your attention moves on as you hear the rhythmical, metallic beat of an anvil and hammer, and you gain vision of a blacksmith at his forge. You approach to watch him at work. It reminds you of your own creative ability. He’s making a sword of power, and it is a gift for you. Watch as he shapes and forms the metal, seeing it glow red as he takes it from the fire and transforms it from a rod to a powerful tool. What does this sword mean to you? Feel the anticipation of waiting for it to be ready. What power do you wish to weald with it? When the sword is ready, accept it as a gift to take with you. Study your sword, its texture, shape, decoration and the scabbard that will hold it safe. Know its purpose. How does it feel to hold it? Your sword remains with you as you settle back into your physical being and return your inner gaze to the horizon in front of you and the light that surrounds you. When you are ready, visualise the dome rising over you, slowly adjusting you to your everyday surroundings. Return to thoughts to your breathing, and slowly come back to normal consciousness. Place an Aquamarine crystal to the West of where you're sitting. 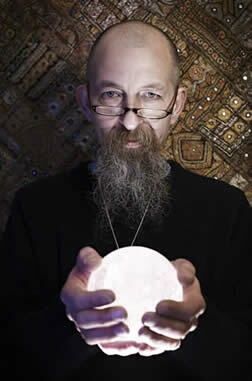 Alternatively, you could hold the crystal – try it and see what works for you. You may also wish to light a candle that can burn safely while you meditate, and have that in the West too. I associate the colour blue with Water and the West – but go with what makes sense to you. Sit facing West (preferably on a cushion or chair if you need back support, to avoid physical distraction from your meditation). Settle yourself into a comfortable position and read through the meditation to familiarise yourself with it. Sit or lie comfortably, facing West. Close your eyes and shift into a meditative state in your preferred way. Imagine that there is a semi-circle on the floor that spans around you from South to North, your left side round behind you to your right. Visualise it as a blue line on the floor. Gradually visualise that arc rising over you, shrouding you in safety, rising as a dome that covers you in a protective shell. It passes behind you, over you and slowly down in front of you until it gently touches the floor in front of you and you are completely contained within an echoey dome. Settle yourself into this safe stillness. Focus on the life-force that runs through your body and being. Swallow and connect with your digestive system. Turn your attention further inward, to your heartbeat and pulse, visualise the rhythmic throb of the blood that flows through you. Relax and be still. Slowly you become aware of a shift in temperature and of the soft caress of water around you. Your inner vision opens to see that you are sat on the surface of an expanse of water within the dome. You gaze at the water – observing its colour, temperature and your response to its presence. You shift a little and hear and see the ripple of lapping waves that you’ve created and now radiate out from you. Each little wave carries a heartfelt emotion from within you. Watch the little ripples you create in your environment and understand the affect that you have. Now that you’ve adjusted to being in the water, slowly let yourself be lowered safely down and emerge yourself in the water world below you – be as deep in it as you feel comfortable. Move freely now in the water, becoming one with it, absorbing its life-giving energy and cleansing power. You feel a current build within the water that starts to carry you on a journey. Enjoy the freedom of movement and self-expression. What does this freedom mean to you? Connect with the elementals of the water and the creatures that swim beside you. What do they bring to you? Allow your emotions to rise freely within you. What have you been holding onto that you’re now safe to release? Imagine yourself absorbing clear, fluid energy that cleanses every cell of your being, relieving you of any discomfort. Sense a fresh tingle run through you. The water’s movement calms, settling around you and you slowly float to the surface. Rest on the surface, enjoying a new stillness. Place a Celestite crystal to the East of where you're sitting. Alternatively, you could hold the crystal – try it and see what works for you. You may also wish to light a candle that can burn safely while you meditate, and have that in the East too. I associate the colour yellow with Air and the East – but go with what makes sense to you. Sit facing East (preferably on a cushion or chair if you need back support, to avoid physical distraction from your meditation). Settle yourself into a comfortable position and read through the meditation to familiarise yourself with it. Sit or lie comfortably, facing East. Close your eyes and shift into a meditative state in your preferred way. Imagine that there is a semi-circle on the floor that spans around you from you’re the North at your left side round behind you to your right and the South. Visualise it as a yellow line on the floor. Gradually imagine that arc rising over you, shrouding you in safety, rising as a dome that covers you in a protective shell. It passes behind you, over you and slowly down in front of you until it gently touches the floor in front of you and you are completely contained within a sealed dome. Settle yourself into this safe stillness. Gradually you become aware of the air around you and the implications of being inside a sealed dome. Your focus turns to your breathing, and that the air around you is becoming stale. Contemplate a sense of restriction. Before you suffer at all, you see that the dome is rising from the ground in front of you, lifting to reveal a panoramic view of wide open space. This is a place of freedom for you. How does it appear to you? Is it sky, or a landscape you recognise? Enjoy inhaling the fresh air, picking up evocative scents. Feel the air move around you – is it a light breeze or stronger? Each breath of this clear air is true inspiration. Clean, free air flows freely into you, filling you with fresh oxygen that tingles through your body, feeding your body and mind. The tingling sensation increases and you rise up from the ground. Do you float above the ground, or fly away? Explore this freedom and what it means to you. You move forward through the air, gathering momentum until you see a castle. Study it as you approach, admiring its architecture. This is your Air Castle, where your ideas and dreams form and are stored. How do you view it? Explore inside. Does it need a spring clean? Or is it standing firmly, defending your ideas and ideals? Wander the passage ways, spotting relics and reminders of inspired ideas you’ve had. You come to a large stained glass window with an altar in front of it. A rising sun is streaming through the window. Stand at your altar, preparing yourself for a new day and a fresh start. Make a promise to the deity on your altar, and accept a gift of an object lying on the altar for you. Leave your Air Castle when you are ready, and move swiftly through the air, returning to your circle. Gently land back where your physical body is seated. Slowly adjust you to your everyday surroundings. Return to thoughts to your breathing, and slowly come back to normal consciousness. Place a Malachite crystal to the South where you are sitting. Alternatively, you could hold the crystal – go with what works for you. You may also wish to light a candle that can burn safely while you meditate, and have that to the South too. I associate the colour red with Fire and the South – but you could use green for the colour of Malachite – please go with what makes sense to you. Sit in the middle of your circle facing South (preferably on a cushion or chair if you need back support, to avoid physical distraction from your meditation). Settle yourself into a comfortable position and read through the meditation to familiarise yourself with it. Remember to have a notebook and pen with you for taking notes afterwards. Imagine that there is a semi-circle on the floor that spans around you from West to East, your right side round behind you to your left. Visualise it as a dark line on the floor. Gradually visualise that arc rising over you, shrouding you in darkness, rising as a dome that covers you in a protective shell. It passes behind you, over you and slowly down in front of you until it gently touches the floor in front of you and you are completely contained within a dome. Settle yourself into this safe stillness. Accept the silence and solitude. Focus on your breathing, with each breath inhale tranquillity and exhale tension. Breathe with your belly – allowing it to extend and contract. Rest your hands, palm down, underneath your diaphragm/rib cage and allow them to rise and fall with your breathing. Slowly you sense another entity sitting with you. You don’t turn to look at them at first, but allow yourself to pick up on their energy. The entity is your will and your self-esteem – that part of you that responds to comments and criticism by others, and determines how you respond; that part of you that drives the choices you have made. What is your gut reaction to their presence? Allow yourself to look at the entity, and explore how it appears – accepting it with unconditional love. As you do this, you sense a contraction in your belly – and the presence of a Divine force. The deity you work with; your Guardian/Guide has joined you, and also gazes at the entity. You sense their perception of your Will and self esteem, and of how you are measuring up to your soul’s purpose. Your heart responds, and the contraction tightens, and you wish for release. You ask for clarity, and to know the way forward. You are given a sign or symbol that you understand. You are told that it is your will that is making the contraction – holding onto something you need to be free from. Accept your need to release that which serves you no purpose, and holds you back. Take a deep breath in and again out – freeing your muscles from the contraction. Sense the release and the feeling of ease that slowly flows through you. Thank you Guide for their wisdom. When you are ready, visualise the dome rising over you, slowly adjusting you to your everyday surroundings, and gradually come back to normal consciousness. 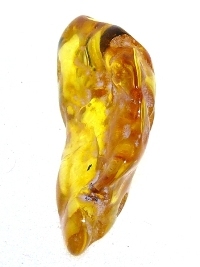 Sit or lie comfortably, if possible, facing North and holding a piece of Amber. Close your eyes and shift into a meditative state in your preferred way. Imagine that there is a semi-circle on the floor that spans around you from the West at your left side, round behind you to your right and the East. Visualise it as a green line on the floor. Gradually imagine that arc rising over you, shrouding you in safety, rising as a dome that covers you with protection. It passes behind you, over you and slowly down in front of you until it gently touches the floor in front of you and you are completely contained within a large semi-permeable dome. You are seated in a ploughed field with a weak, fading sun receding below the horizon to your left. As the sun fades, a strong full Moon starts to light the sky behind you and cast moonbeams down to the landscape around you. Start to observe the field you’re in, as the coolness of the night sky takes over, gazing at the light and shade of the moonlight as it shines on the rise and fall of the ploughed furrows You feel a tingling freshness from cooling air, but retain your core body temperature by drawing heat from the ground below you. You are settled on the warm soil, enjoying your connection to Earth. Suddenly there is a rumble and the ground begins to shake beneath you. Instinctively you draw your arms into your sides, gathering precious possessions to you. Look down at what you have hold of and understand their significance to you. Are they really the most important? The ground continues to move around you, but you realise that it’s not threatening, but is allowing you to settle yourself deeper into the Earth, giving you stability and security to weather potential storms and to grow as a person. Slowly the soil gathers around you, covering your legs. You put your possessions down to one side, and open your hands to bury them into the Earth, feeling its texture, allowing your hands to grow brown. Childish joy rises in you as you enjoy this experience. As you gaze at the ground you manipulate with your hands, you appreciate its component parts – all the life giving minerals. What is it that you most need at this time from the Earth? Put your hand in your pocket and find a bulb you didn’t know was there. Hold it in both hands, empowering it with the wishes and desires that you wish to materialise. Plant your bulb carefully in the ground in front of you, holding your hands over the ground after to infuse it with your will. Rest a while in your union with Earth, drawing nourishment.